All the main parameters have been coordinated between the countries and the Bank may start its work in the beginning of 2016. The process of creating the BRICS Development Bank - a new international financial body – has entered the final straight, Sergei Katyrin, President of Russia’s Chamber of Commerce and Industry and Chairman of the Russian subsidiary of the BRICS Business Council, said. The Bank starts its work in the beginning of the following year, he noted commenting the conclusions of the BRICS Business Council’s meeting in Brazil in early February, according to tpp-inform.ru. “The process of creating the BRICS Development Bank has entered the final straight. All the main parameters have been coordinated between the countries: the participating countries, each country’s contribution, the leading bodies, the headquarters and the first subsidiary’s location. Now each member-country is working on finding the staff for the organisation, and the candidatures of Chairman, President etc. are being decided upon,” Katyrin said. But he added that there are still questions to be discussed up to the very start of the Bank’s activity, in particular, participation of non-BRICS members in the work of the BRICS Bank. It is yet undecided if they would be allowed to put forward their projects and make financial contributions. “The BRICS Business Council is now working out suggestions on the normative bank's base because all the participants want to make this bank “a fast bank”, so to say, to minimize bureaucratic procedures necessary for considering investment projects laid before the bank,” Katyrin said. He noted that Russia had already introduced 27 business projects worked out with Russia's Ministry of Economics. “Besides, of course, we would like to consider our colleagues’ suggestions to understand if it is possible unite some of the projects and make them multifaceted,” Katyrin said. The first meeting of the BRICS Development Bank’s Board of Directors is to take place held as part of the BRICS summit in the Russian town of Ufa in July, 2015. The BRICS summit is expected to be held on July 8-10. A Russia's representative is to become the first chairman of the Bank’s Board of Managers, a Brazilian is to be selected as the first chairman of the Board of Directors and an Indian is to be the first President of the Bank. The SCO summit is to be held on July 10 as well, Bakhtier Khakimov, Special Representative of Russia’s President on the SCO, told the news agency “Interfax”. He specified that a joint meeting of two organisations might take place. Russia is planning to be the first of the member-countries of the new institution of development to ratify the agreement on creation of the BRICS Bank in February-March of the current year, Anton Siluanov, Russia’s Minister of Finance, told journalists on the fringe of the meetings between the G20 Ministers of Finance and heads of Central Banks in Istanbul in early February. He remarked that the money for contributing to the bank's capital had been already allocated in the federal budget for 2015. Russia is supposed to contribute $2 bln during seven years. The agreement on the creation of the BRICS Bank was signed in June, 2014, at the BRICS summit in the Brazilian town of Fortaleza. The Bank will become one of the largest multifaceted institutions of development with the stated capital of $100 bln. It is created for the purpose of financing infrastructure projects in the BRICS states and emerging countries. 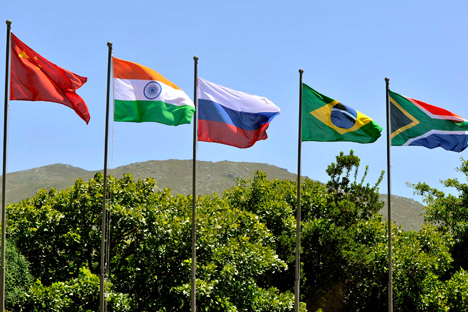 Russia's chairmanship in the BRICS Business Council begins on April 1. The Russian side is working on shaping the agenda of the chairmanship and the schedule of meetings for the following year. Notably, a separate congress type event on the state and prospects of the economic cooperation between the BRICS countries is planned to be held on June 18, 2015 as part of the St Petersburg International Economic Forum (SPIEF). Later, in July, 2015, on the eve of the summits of the BRICS and the SCO countries' leaders in Ufa, the BRICS Business Council events are planned to take place. The traditional meeting of the BRICS’ leaders with the members of the Business Council is supposed to be the conclusive event.